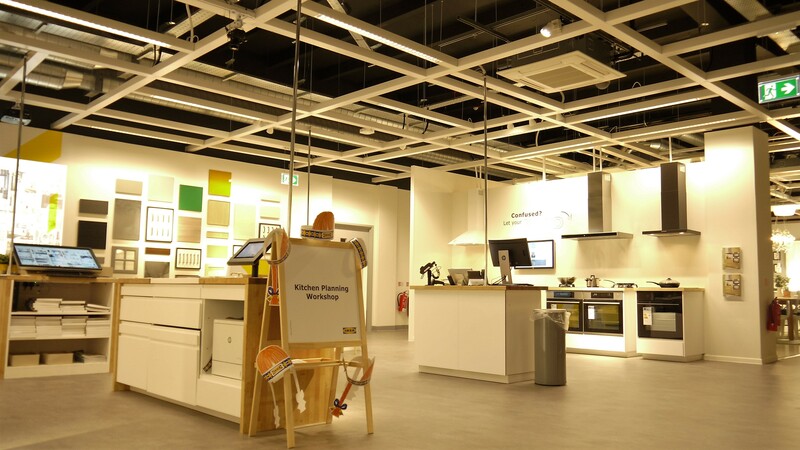 Panasonic’s advanced heating and cooling technology has been installed in the new IKEA “Click and Collect” store in Birmingham city centre. 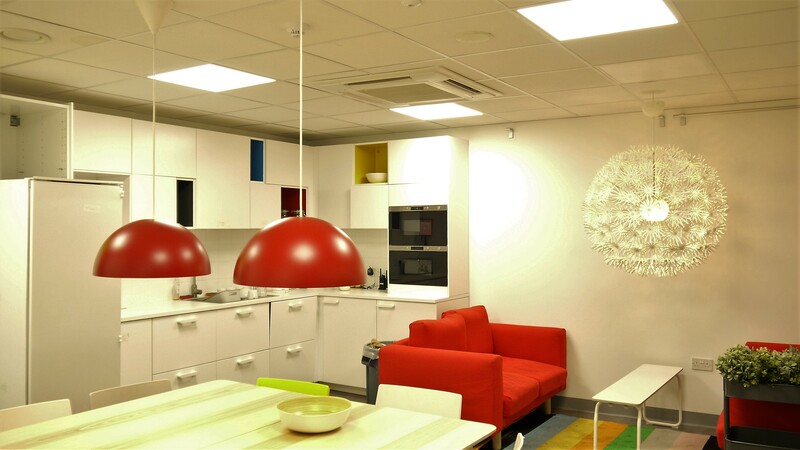 Distributor Logicool provided the Panasonic ECOi and ECO G systems to IKEA and worked with Wolverhampton-based TSG Electrical Services to ensure an efficient, cost effective installation that met the client’s objectives. The “Click and Collect” store is a new concept that IKEA is rolling out across the country. The Birmingham Central store is the second example of the new format, located on the former site of Toys R Us in Dale End. The building was approaching the end of its practical life, and is expected to be demolished in the next four years to make way for improvements to Birmingham city centre. 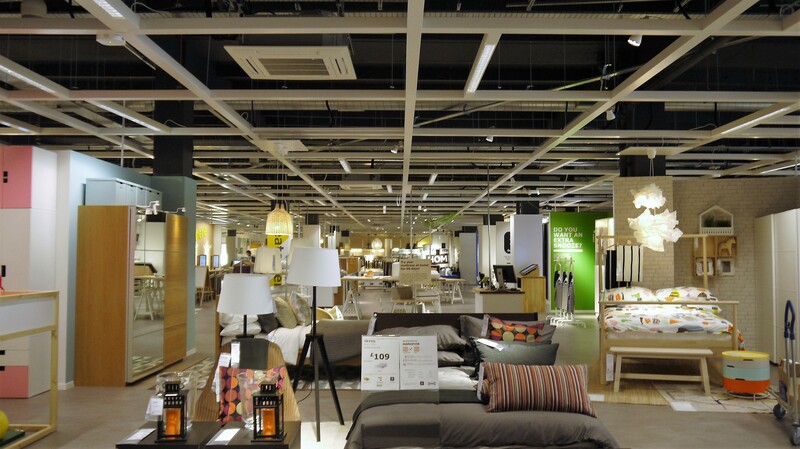 Such a short term lease was ideal for IKEA to trial a new store concept, however it meant that the budget was restricted. The additional challenge of working in a city centre environment was the limited electrical power supply, meaning the site did not have sufficient power to deliver heating and cooling - via an electric VRF system - to both the front-of-house retail area and the back-of-house office. Panasonic’s ECO G technology was crucial to the success of the project. 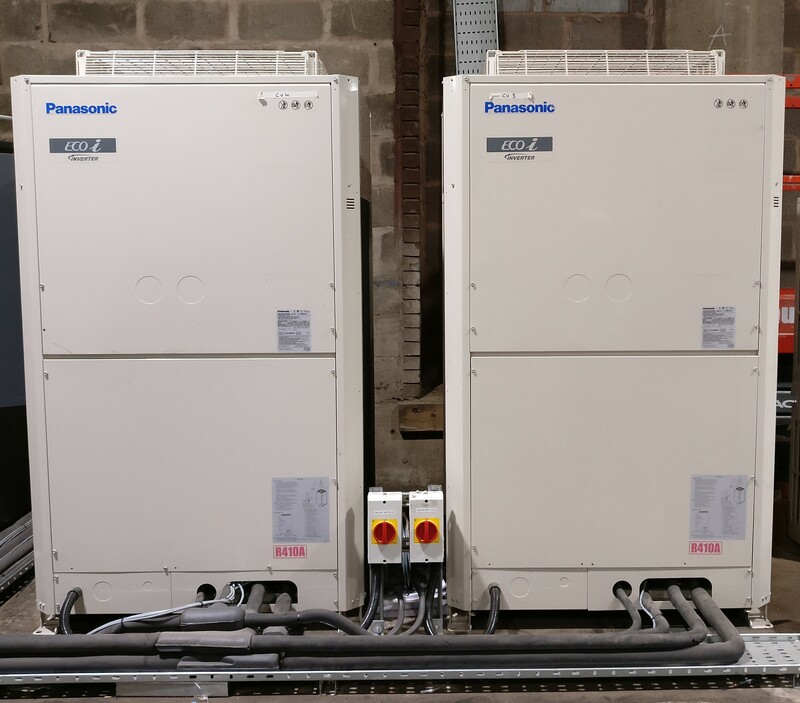 Logicool supplied two of Panasonic’s gas fired ECO G heat pumps to provide heating and cooling to the front of house retail areas. 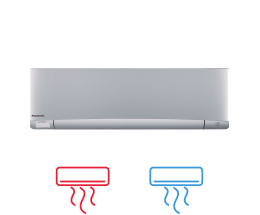 With a COP of 1.25 and EER of 1.15, Panasonic’s ECO G heat pump delivers a greater efficiency than traditional gas-fired systems. The ECO G’s utilise the on-site gas supply which meant Logicool were able to deliver the ideal environment for shoppers with minimal additional demand to the electrical power supply. Logicool supplied 16 of Panasonic’s innovative U1 type 4-way 90x90 cassettes. 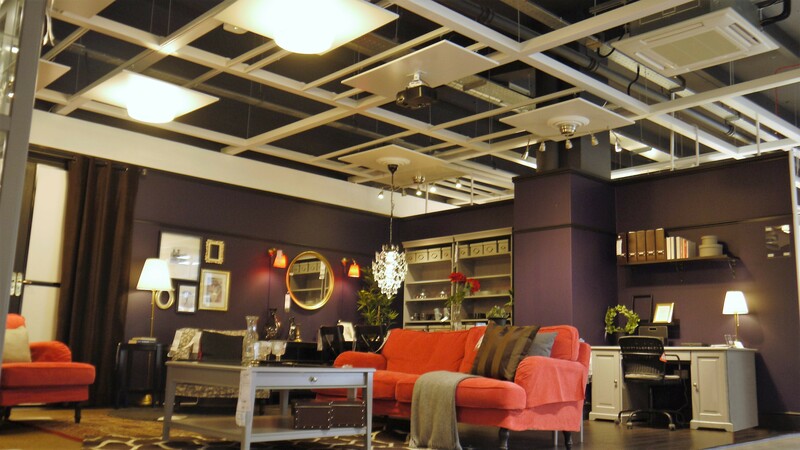 These units boast an improved noise performance, providing a more comfortable and relaxing atmosphere for staff and shoppers. The shallow and unobtrusive profile of the cassettes ensures that they can be installed discreetly into the retail area and do not distract customers from the products on the shop floor. 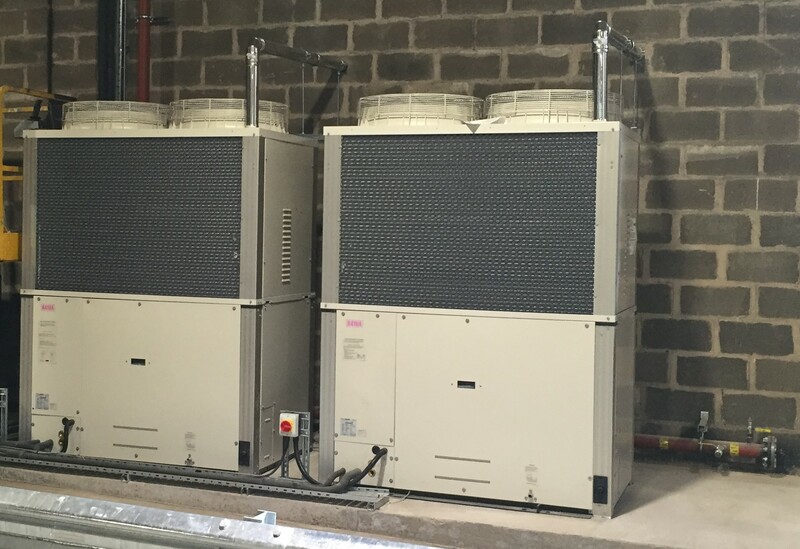 Logicool and TSG Electrical Services reduced the number of indoor cassettes but increased the size of the fan coils. This ensured that the system provided a consistent and comprehensive heating and cooling solution without exceeding IKEA’s budget. 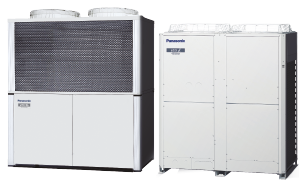 In the staff offices and the collection & returns areas, Logicool used Panasonic’s ECOi VRF system to supply heating and cooling, to create a comfortable, climate-controlled environment. 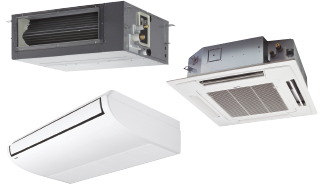 The electric-powered VRF system is extremely efficient, achieving a SCOP 6.33 and SEER of 8.06. In the back of house areas TSG Electrical Services also installed the reliable U1 type 4-way 90x90 cassettes to provide heating and cooling. 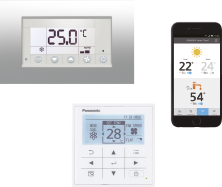 Panasonic’s new Heat Recovery Control Box was used to further increase the efficiency of the system, accompanied with the CZ-RTC4 controllers to give staff the ability to fine-tune their environment and ensure that energy is not wasted through unnecessary operation. 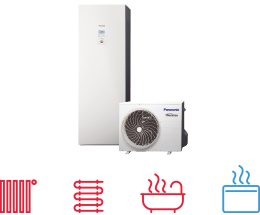 Panasonic’s advanced heating and cooling technology was an essential component to the project. Panasonic allowed for an innovative, comfortable environment for shoppers and staff, while overcoming technical challenges and budget restrictions through close collaboration with Logicool and TSG Electrical Services.